The new 2018 Axis T23 features innovative styling and numerous cabin upgrades for even more comfort and convenience. 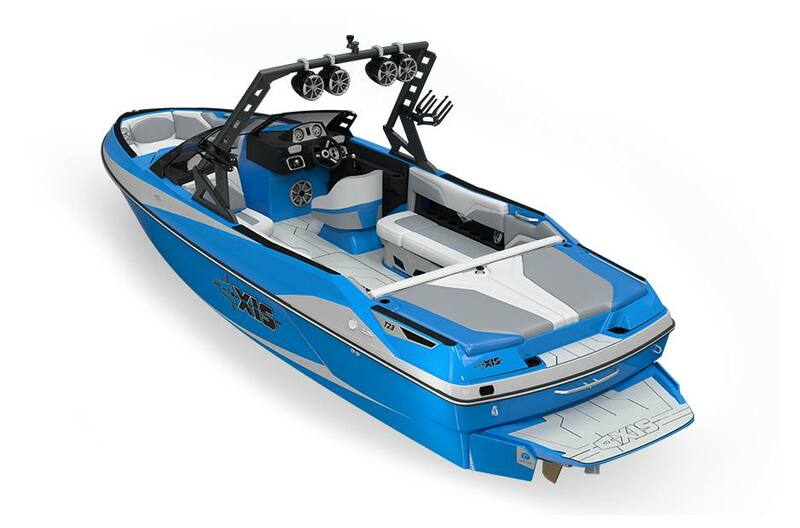 Plus, for the first time ever, Power Wedge II is available for all 2018 Axis boats. 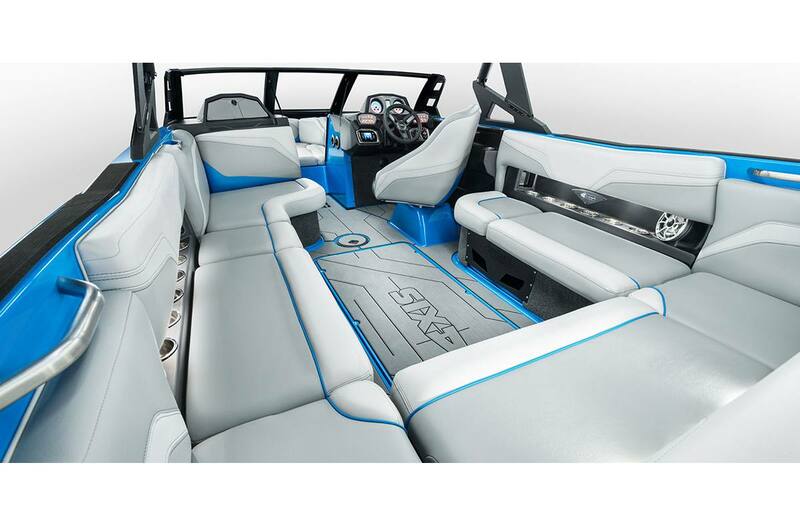 Handcrafted by Malibu Boats on American soil in Loudon, Tenn., Axis towboats deliver cutting-edge technology and impeccable engineering. The 16-seat, traditional-bow T23 boasts precise handling and agility, along with new soft grip flooring on the deck, swim board and transom step mats. For 2018, the T23 also has new bungie tower racks and optional PTM clamping board racks. Power Wedge II: 1500 lb. Classic Traditional Bow: Our first Axis with a traditional bow design, the T23 is anything but old school with room for up to 16 people. 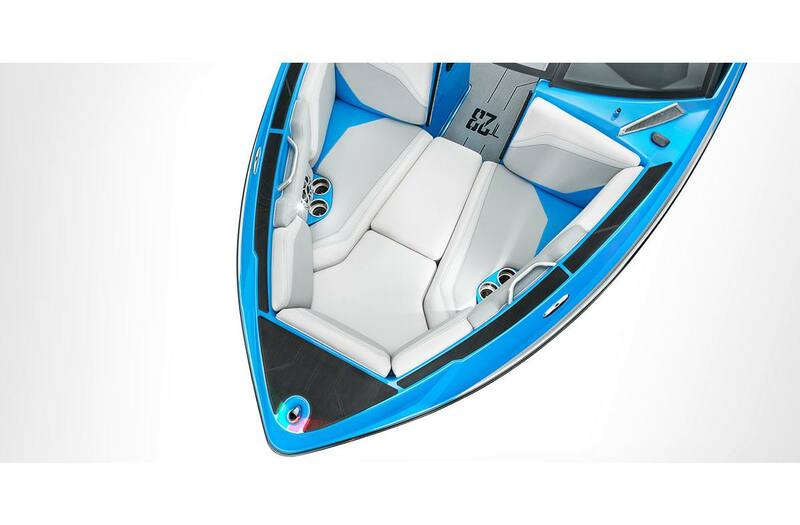 Fibecs®: Our patented FibECS chassis and eight-layer lamination process provide maximum durability and ensures a smooth, solid ride on the water. 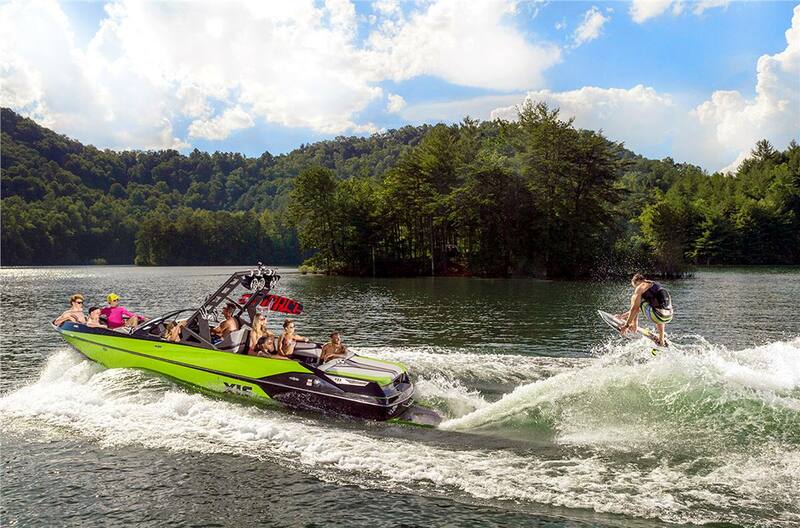 Wake-Plus Hull: Designed specifically for boarding applications, this hull design allows the boat to sit deeper in the water at slower speeds, helping create more water displacement for a bigger wake at all boarding speeds. Monsoon 409, 450 or 550 Engine Options: It takes a properly ballasted watersports boat to churn up a great wake, and it takes a high-torque engine to move the boat smoothly at watersports speeds. 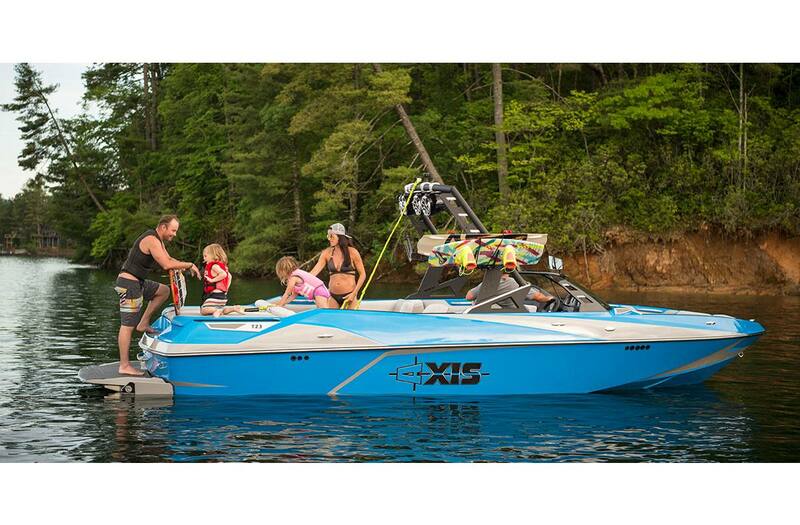 Axis moves up to new 6.0-liter Monsoon engines putting out up to 550 foot-pounds of torque on select models to move the boat smoothly at watersports speeds. Surf Gate™: Wait until you see how easy it is to turn the wake into an endless, customizable wave for surfing. Push a button to activate Surf Gate™. That’s it. The Surf Gate’s high-speed hydraulic actuators let you quickly shift the wave from side to side. Striking New Dash Design: A striking new dash design with glowing white 3-in-1 gauges gives the cockpit a classic sporty look. A new panel of soft-key switches puts controls at the driver’s fingertips, and new helm and transom remotes for the audio system let the driver or passengers adjust the music.